Recliner Wheelchair Rentals in Webster TX! In addition to sales, we also offer mobility recliner wheelchair rentals! When mobility is a concern, we are here to assist you in choosing the best solution to help achieve optimum independence for you or your loved one when it comes to mobility recliner wheelchair rental products. You can experience the benefits that our mobility recliner wheelchairs have to offer first hand by making a trip to our local medical supply store showroom. We allow you to test out the recliner wheelchair you like in order to determine if it is the right size and capacity for your needs. 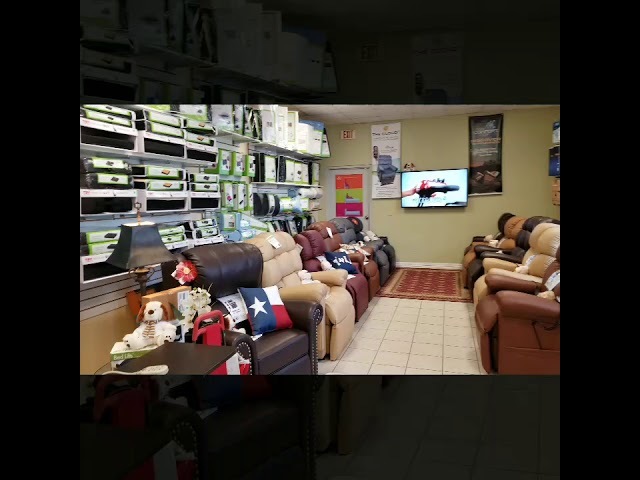 In addition to these recliner wheelchairs, we also offer power scooter rentals, wheelchair rentals, knee scooter rentals and much more. Call us to book your Recliner Wheelchair Rental Today! Everest Jennings introduces the latest in a long tradition of quality wheelchairs. The Advantage Recliner wheelchair features performance and durability at an affordable price. The full reclining back offers unlimited adjustment using easy brake and cable mechanisms.. The Advantage Recliner comes with a higher back and removable full support headrest. The headrest includes an additional neck support that adjusts easily to fit every need. Anti-tippers and an anti-fold bar come standard. The durable hammer tone frame is designed to support up to 300 lb users.. Manual full reclining back. Removable full support headrest. Detachable desk arms. Black vinil upholstery. Anti-tippers included. Elevating legrest. 300 Lbs. capacity. Advantage Recliner Wheelchair 18" X 17" W/ Legrest-300 Lbs Cap. Advantage Recliner Wheelchair 20" X 17" W/ Legrest-300 Lbs Cap.